April 1, 2019 — The boom times for the U.S. lobster industry are imperiled this year because of a shortage of a little fish that has been luring the crustaceans into traps for hundreds of years. The New England Fishery Management Council is seeking the services of an independent contractor to prepare a Discussion Document that summarizes all scientific research and other relevant information about offshore spawning of Atlantic herring, Clupeidae clupea. Letters of interest and supporting materials must be received by April 22, 2019. Finalize the Discussion Document in October 2019 following the full Council’s review in late September. Recent management actions by the New England and Mid-Atlantic Fishery Management Councils and the Atlantic States Marine Fisheries Commission that may have impacts on spawning of Georges Bank Atlantic herring. TIMELINE: The contractor’s role is a short-term, temporary position that will begin on or about May 1, 2019 and end when the Council reviews the Discussion Document, tentatively in September 2019, followed by completion of a finalized document in October 2019. WHY IS THIS HAPPENING: The Council intends to use this document to support future deliberations about potential management measures that may be considered to minimize impacts on spawning of Atlantic herring on Georges Bank and Nantucket Shoals. APPLICATION DETAILS: Interested professionals are encouraged to submit a letter of interest, current resume or curriculum vitae, examples of similar work completed for other organizations or publications, and a budget with expected expenses no later than April 22, 2019. A list of desired experience and demonstrated skills can be found in the solicitation notice. Additional information and application mailing/email addresses are contained in the full solicitation notice, which can be accessed at the link above and here. NOTE: Candidates employed by advocacy organizations or by organizations that are parties in fishery lawsuits will not be considered. March 21, 2019 — Beauty is in the eye of the beholder. The same goes for river herring at the city’s Little River fish run in West Gloucester. The city, with NOAA Fisheries and the state Department of Marine Fisheries, is embarking on another year of visually counting river herring, or alewives, that migrate into the Little River and up the fish run to the Lily Pond spawning area to begin another life cycle for the important species. As the river herring spawning run commences and a new counting season beckons, the fisheries partners want to expand the cadre of volunteers who help count fish along the recently reconstructed and improved fish run next to the city’s West Gloucester water treatment plant off Essex Avenue. Here’s a roundup of upcoming meetings and new developments that are relevant to the New England Fishery Management Council’s stakeholders. SCALLOPS: New Bedford and Chatham, MA are the next two stops on the scoping meeting circuit for Amendment 21 to the Atlantic Sea Scallop Fishery Management Plan. 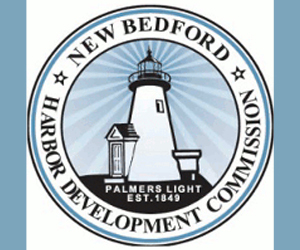 The New Bedford meeting is today, Wednesday, March 20, and Chatham is up tomorrow, Thursday, March 21. Both meetings begin at 6 p.m. Also, a webinar is scheduled for Friday at 10 a.m., and more scoping meetings will be held next week in Virginia and New Jersey. The series caps off in Gloucester on April 3. Visit the Amendment 21 webpage to see the complete lineup and download the scoping document, press release, and staff presentation. COMMERCIAL eVTRs: The Mid-Atlantic Fishery Management Council is developing an Omnibus Framework to considerrequiring commercial vessels that carry federal permits for Mid-Atlantic Council-managed species to submit Vessel Trip Reports electronically (eVTRs). This action, if approved, will apply to New England fishermen who obtain Mid-Atlantic permits for summer flounder/scup/black sea bass, bluefish, mackerel/squid/butterfish, and other species. The Mid-Atlantic Council has scheduled a webinar for Monday, March 25 beginning at 9 a.m. to collect input from its Advisory Panels. Details are available at AP webinar about commercial eVTRs. ATLANTIC HERRING: The New England Council’s Herring Advisory Panel (AP) will meet for a half-day on Wednesday, March 27 at the Holiday Inn in Mansfield, MA. The Herring Committee will meet in the same location the following day, Thursday, March 28. 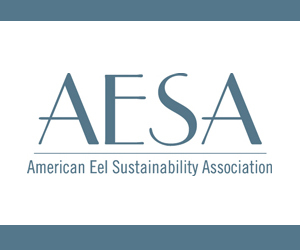 The AP and Committee both will discuss upcoming herring actions, work priorities, 2019-2021 specifications, and more. The agenda and meeting materials are available at Herring AP and Herring Committee. EXECUTIVE COMMITTEE: The Council’s Executive Committee will meet Wednesday, March 27 in Wakefield, MA. More information will be available soon at Executive Committee meeting. SCIENTIFIC AND STATISTICAL COMMITTEE (SSC): The Council’s SSC will meet via webinar on Friday, March 29, 2019 to discuss and comment on the Council’s research priorities. Learn more at SSC webinar. GROUNDFISH: The Council’s Groundfish Advisory Panel (AP) will meet on Monday, April 1 at the Hilton Garden Inn at Logan Airport. 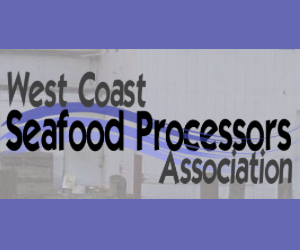 The Groundfish Committee will meet in the same location the following day, Tuesday, April 2. 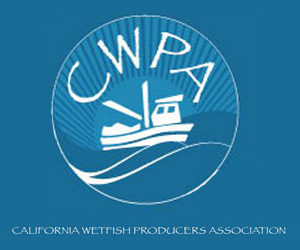 Both will discuss Groundfish Monitoring Amendment 23, the Council’s Gear Standards Policy, and 2019 groundfish priorities. More information will be available soon at Groundfish AP and Groundfish Committee. ECOSYSTEM-BASED FISHERY MANAGEMENT (EBFM): The Council’s EBFM Committee will meet on Thursday, April 4 and again on Monday, April 15. Both meetings will be held at the Radisson Airport Hotel in Warwick, RI beginning at 9:30 a.m. The committee will discuss issues related to the development of a draft example Fishery Ecosystem Plan (eFEP) for Georges Bank. More information and related documents will be posted as they become available at EBFM April 4, 2019 and EBFM April 15, 2019. RECREATIONAL GROUNDFISH: The Council has scheduled a series of listening sessions to solicit comments and gauge public interest on whether it should develop a limited access program for the recreational groundfish party/charter fishery under the Northeast Multispecies Fishery Management Plan. The sessions, which include a webinar, will run from April 4 through May 10 from Maine to New Jersey. For more information and complete details about the times and locations of the listening sessions, read the press release, public notice, and download the background document. MID-ATLANTIC COUNCIL: The Mid-Atlantic Council will be discussing several issues relevant to New England stakeholders during its April 8-11 meeting in Avalon, NJ. 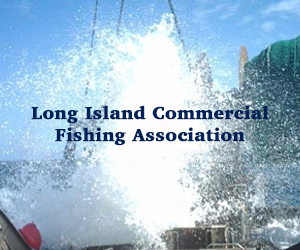 The Commercial eVTR Omnibus Framework described above is on the agenda, and the New England Council will be holding one of its Recreational Groundfish Party/Charter Fishery listening sessions in the same location on Monday, April 8. Take a look at the agenda at MAFMC Avalon, NJ. 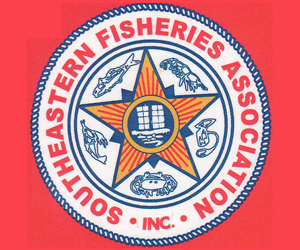 NEW ENGLAND COUNCIL: The full New England Fishery Management Council will meet April 16-18, 2019 at the Hilton Hotel in Mystic, CT. 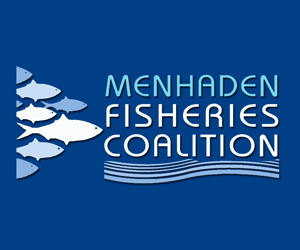 The agenda and meeting materials will be available soon at NEFMC Mystic, CT.
MONKFISH: The National Marine Fisheries Service (NMFS, NOAA Fisheries) announced that it is implementing 2019 monkfish specifications as recommended by the New England and Mid-Atlantic Councils in Framework Adjustment 10 to the federal Monkfish Fishery Management Plan (FMP). The Monkfish FMP is a joint plan between the two Councils with New England having the administrative lead. The framework contains specifications for fishing years 2017-2019. At the time the framework was implemented, NMFS approved 2017 specifications, along with “projected specifications” for 2018 and 2019. 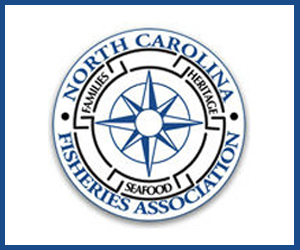 This week, NMFS said it does not expect 2018 catch limits to be exceeded, so 2019 specifications will go into place on May 1 as initially developed by the Councils. These include a total allowable landing limit of 6,338 metric tons (mt) in the Northern Fishery Management Area and 9,011 mt in the southern area. Find out more in the Federal Register notice and permit holder bulletin. March 18, 2019 — Thousands of dead fish washed up in creeks that are part of the Shrewsbury River estuary in Monmouth County over the weekend after the large school of menhaden were pursued by predatory fish and depleted the oxygen from the shallow water, state environmental officials said. The adult menhaden, a species in the herring family, were found near boats in docks in Oceanport Creek, Parker’s Creek and Blackberry Bay in Oceanport early Saturday, the state Department of Environmental Protection said Monday. The fish kill numbered in the “thousands and thousands,” Hajna said. At 00:01 hours on March 9, 2019, a 2,000-lb herring possession limit per trip or calendar day will become effective for Area 2 and will be in effect until the 2020 fishing year begins on January 1, 2020. Under the Atlantic Herring Fishery Management Plan, when 92% of the Herring Management Area 2 catch limit is projected to be harvested, no person may, or attempt to, fish for, possess, transfer, receive, land, or sell more than 2,000 lb of herring per trip or per calendar day in or from Area 2 for the remainder of the fishing year from a vessel issued and holding a valid herring permit. For more information read the bulletin on our website or the rule as filed in the Federal Register this afternoon. Please note: This action prohibits federally permitted dealers from purchasing, possessing, receiving, selling, bartering, trading or transferring, or attempting to purchase, possess, receive, sell, barter, trade, or transfer more than 2,000 lb of herring per trip or calendar day from Management Area 2 through 24:00 hr local time, December 31, 2019, unless it is from a vessel that enters port before 00:01 local time on March 9, 2019. March 4, 2019 — At Maine’s annual Fishermen’s Forum in Rockport Friday, a historic $600 million harvest season coincided with a slight increase in lobster landings and lingering concerns over potential changes to gear rules around protecting endangered right whales. But looming over the forum are major cutbacks in the quota of crucial herring bait fish — which could ripple across the industry. Patrice McCarron is executive director of the Maine Lobstermen’s Association (MLA). She is worried about the severity of herring restrictions imposed by the federal government after the species failed to reproduce in sustainable numbers last year. “It’s about as bad as we can imagine, but we don’t yet know what it’s going to translate to for the fishermen,” McCaroon says. McCarron says that Maine fishermen face a shortage of some 50-million pounds of bait in the coming season. Fisherman are used to catching the traditional lobster baitfish in Maine’s coastal herring fishery all summer and into the fall, but McCarron says that will change under the new quotas.